At Action Lock we carry a wide variety of ABUS padlocks and accessories. We believe in taking your security seriously, that is why we partnered with ABUS for padlocks. Our most popular is the 83 Series Re-Keyable. With this amazing high security padlock you can key your padlock to match your home, cottage or business keys. Brass padlocks are being used a lot in everyday life. The material itself offers a good level of corrosion resistance which can be further improved by coating the lock or by adding plastic covers. Our brass padlock range includes many different sizes, shapes, shackles, and other additions. 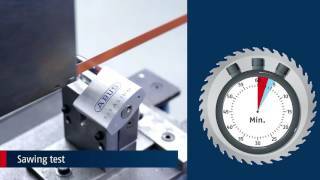 ABUS aluminium locks are suitable for a variety of applications. They are handy, lightweight and protect your valuables reliably. Whether blue, red, violet, green, orange or yellow, whether a combination lock or keyed lock, you are guaranteed to find just the right lock in this product range to suit your needs. The TITALIUM™ range is the new reference for padlocks. With approximately 30% reduced weight compared to traditional brass padlocks with at least the same level of security, the TITALIUM™ lock series becomes an attractive alternative. The contemporary material implementation is reflected in the design of the products: TITALIUM™ series padlocks all feature an impressive stainless steel finish. There are many applications where reliable security but also weight is significant, for example travel and transportation. The disk lock is a special form of the padlock with some distinct advantages. The disk shape effectively combats the most common ways of forcing it open. The design with only a small opening in the shackle makes it very difficult to tamper with. As the ABUS Diskus® is made mainly of stainless steel, it is used especially where security and protection against corrosion are required. 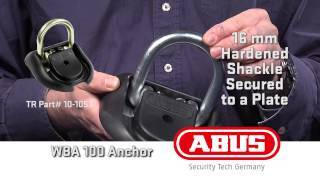 ABUS Granit™ – Looking for the highest level of padlock security? There are many applications where reliable security but also weight is significant – when travelling, mobile situations or for securing goods in transit. TITALIUM™ series represents a new generation of secure, innovative padlocks. At Action Lock we carry a wide variety of ABUS padlocks and accessories. We believe in taking your safety and security seriously, that is why we partnered with ABUS for padlocks and accessories from high security chain and cable and motorcycle & recreational vehicle security to lockout / tagout supplies and more.